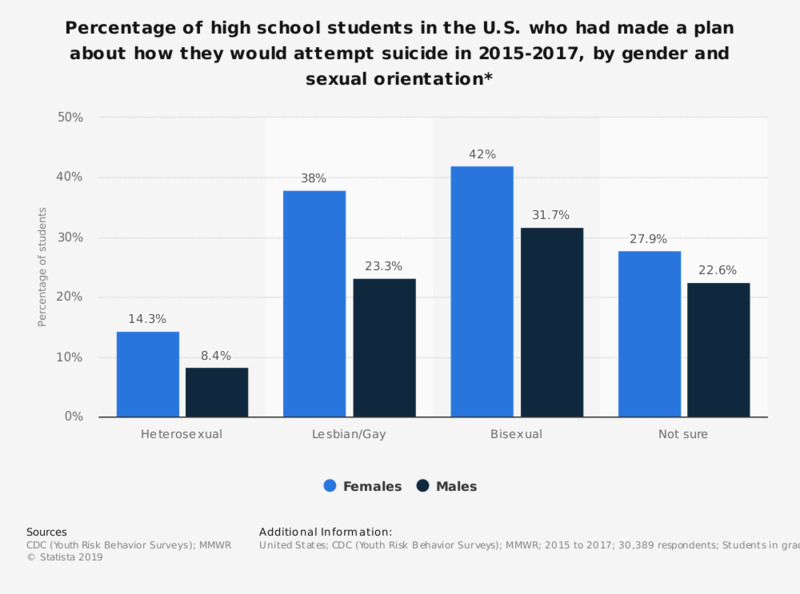 This statistic shows the percentage of high school students in the U.S. who made a plan about how they would attempt suicide in the past twelve months between 2015 and 2017, by gender and sexual orientation. It was found that around 42 percent of bisexual females and 32 percent of bisexual males had made a plan about how they would attempt suicide in the past year. * Made a plan about how they would attempt suicide during the 12 months before the survey.